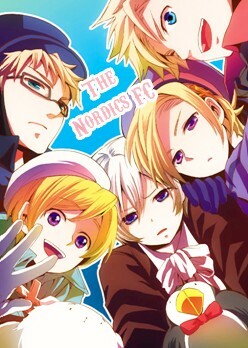 I REALLY am looking forward to hearing Denmark's dub voice. Norway is hot. I mean, the guy has a freaking pet troll. If that isn't cool then I wonder what is. So have you all seen the new episode with the Iceland/Norway DNA testing??? Great episode if you haven't seen it. Thanks so much for responding! yay!! Hey, I'm new but I have an idea to keep this place alive, I'd hate for it to die just when I find it. I'm in this other club that has a lot of members now and it had died for a little while, so the Creator posted, a sign up thread for Admins to help her run the club. It worked cause now, it's busy and people post again.